You review will be posted publically on the website. As the largest player in the branded honey market, Dabur has the back-up of widely spread sourcing and stringent quality control measures. Dabur honey sourced selectively from the Himalayas, the Nilgiris and the Sunderbans forests. Collection process follows stringent quality checks to ensure even raw unfiltered honey is of best quality. Raw honey is filtered and cleaned of impurities such as dust, pollen and wax at state-of-the-art facilities. Entire process is mechanized and untouched by hands to ensure hygienic conditions. Dabur Honey confirms strictly with all statutory requirements of the pfa and international norms for purity. Dabur Honey scored the highest on the main parameters of honey purity in a recent analysis of all Indian branded and unbranded honey. ASHCO certification for quality. Dabur Honey ranked best buy by CERS (Express News Service, Ahmedabad, December 26). HACCP certification. We have been using Dabur Honey for many years now and mom buys it regularly because its good for health. 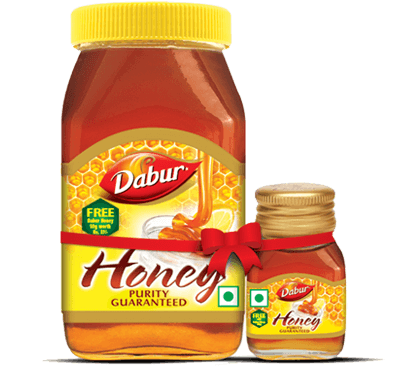 The Consistency of Dabur honey is great, very thick and highly soluble too with any type walk liquid. Overall, Dabur honey is a best honey we r using. But using anything with moderation will lead to good health. Too much of Dabur honey is bad.